Jolyon is a retired banker who was diagnosed with Alzheimer’s disease in 2018. He shared his personal experiences of early stage dementia at Bell House’s Dementia Day, along with his wife Jean. He believes that the more he knows about the disease in advance, the better he will cope in the future - but he emphasised that each individual will approach this differently. His first decision was about who to tell. He and his wife decided to share his diagnosis widely and reach out for whatever support could be made available. But he asks the question, “whose diagnosis is it?” His view is that in many ways it’s one for the whole family because of the impact it has on everyone. Despite naturally being a very organised person, Jolyon knew he needed to get even more organised in advance after his dementia diagnosis. He has arranged a Lasting Power of Attorney, made an Advanced Statement, and told people who need to know about his diagnosis such as the bank and the DVLA. Jolyon was taking some medication for the Alzheimer’s but one of the side effects was to accentuate a pre-existing tremor, and so he sometimes takes a break from it. Throughout all of this, Jolyon emphasises, the support he has received from The Alzheimer’s Society has been invaluable, especially in sharing information resources about the disease. 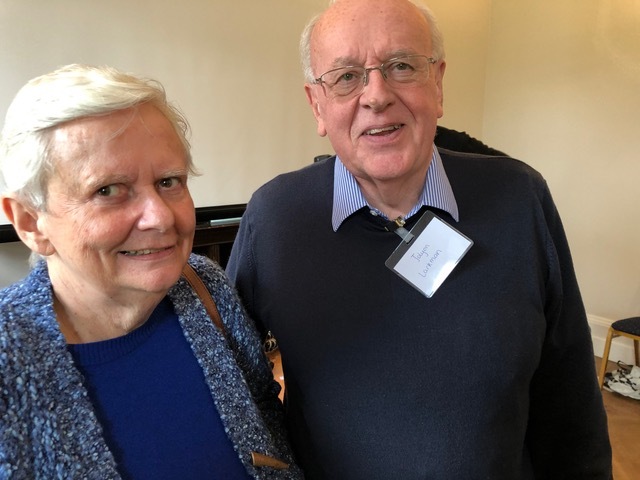 The journey so far for Jolyon and Jean has been difficult at times and they expressed great courage and openness in sharing their experiences with Bell House attendees. Bell House has been donated books helping school children with the transition to secondary school. Thomas Wright, who commissioned the building of Bell House over 250 years ago, died suddenly in the garden of Bell House on the 8thApril 1798 aged 76. He had suffered an epileptic fit and medical attention did not reach him in time. A printer and paper merchant who became Lord Mayor of London, he was described after his death as ‘a truly humble and pious Christian…and a worthy and benevolent member of society’. 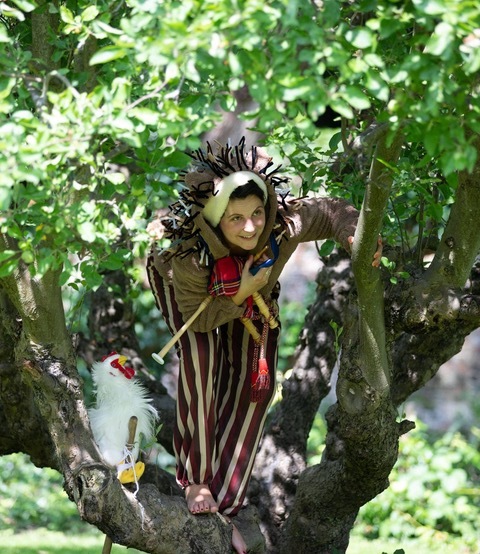 Residents of Bell House claim to have seen his ghostly figure strolling around the walled gardens at night. Since he was a community-minded man, he passes the twilight hours admiring the hard work of our garden volunteers, leaving the residents mostly undisturbed as they sleep peacefully. Founder of the first modern department store, Anthony Harding remained unmarried after his wife, Frances, died in 1801. A man who liked to drink in the evenings, Harding had a special chair constructed so that when he lost use of his legs after consuming multiple bottles of wine, the footmen could simply carry him upstairs to bed. After he passed away in Bell House on 5thAugust 1851, aged 90, his coffin stood against the wall behind his chair in the dining room until his burial, clearly suggesting a reluctance to leave his home. Visitors who have recently attended a violin and harpsichord recital in Bell House are certain that they heard the knock-knock-knock of the footmen carrying Harding and his chair up the staircase of the Georgian house. So spare a thought this Halloween for the residents of Bell House and the sleepless night that inevitably lies before them. 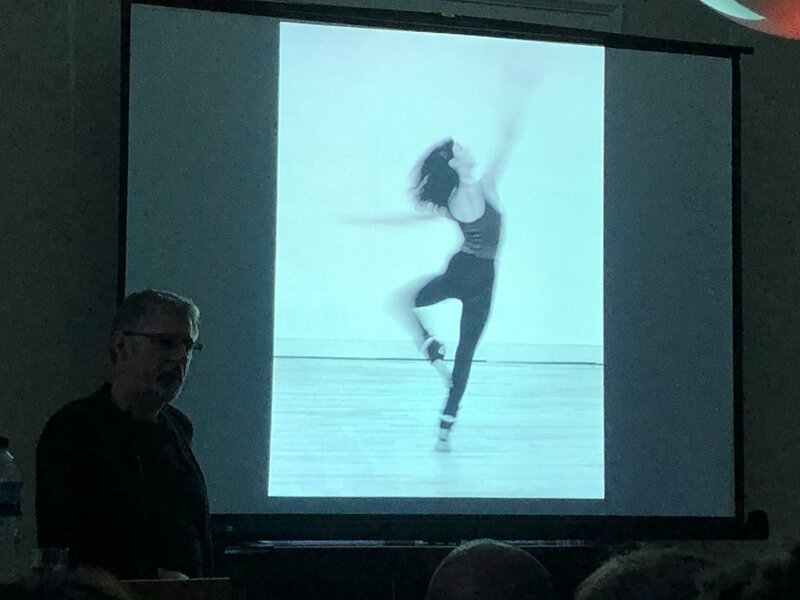 Next time you are in Bell House as a volunteer or attendee of one of our events, perhaps you too may spot one of these haunting presences. 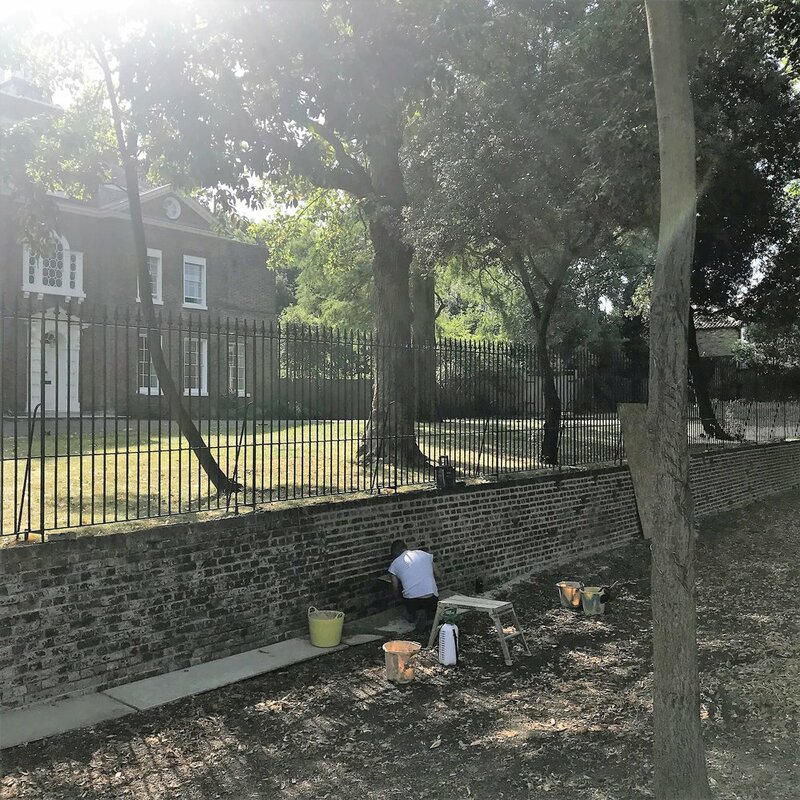 Having repaired the beautiful Georgian wall that divides Bell House from College Road, Matt has returned to work on one of the last surviving ha-has in London. Built in 1767, it was designed to protect the garden from passing livestock (sheep and cattle were driven along College Road to market in London). 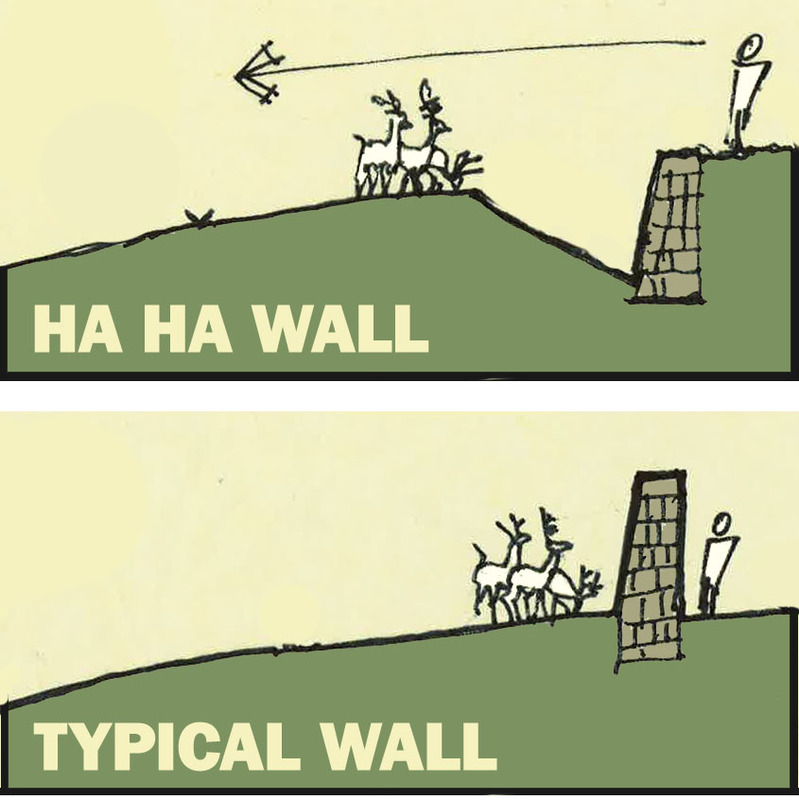 The name ha-ha is thought to derive from the expression of surprise as people discovered what they thought was uninterrupted grass was actually a hidden wall. Unlike a fence it is invisible from Bell House, leaving views which would have stretched for miles in Georgian times. Working outside in this hot weather brings its own issues. 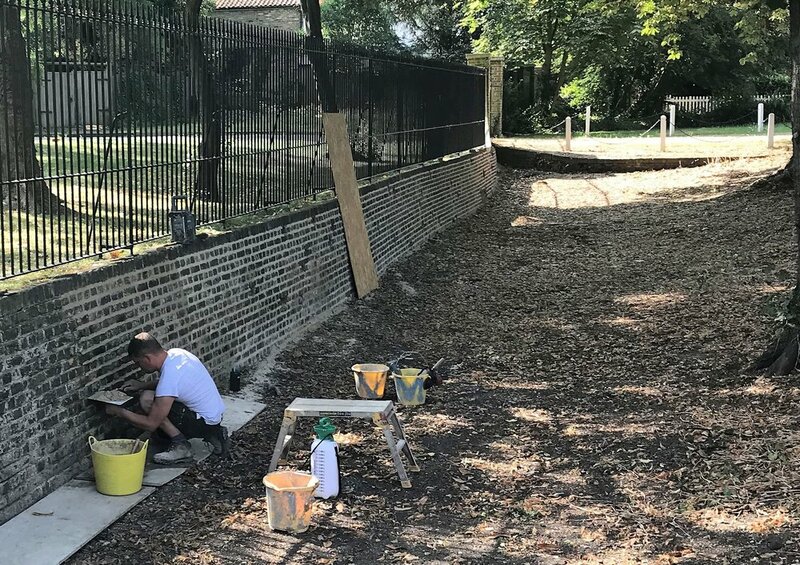 Matt must ensure that the traditional lime mortar he uses (its flexibility helps protect the brickwork from future damage) does not dry out too quickly. Lime mortar gains its strength, in part, from carbonation: the absorption of carbon dioxide from the atmosphere. Just because a mortar is dry does not mean that it has carbonated and if the pointing dries before enough carbonation has taken place, the mortar will crack and weaken. So Matt has been starting work very early, spraying the brickwork with water to slow down the process, and finishing before the heat of the day affects the mortar. Come past Bell House around 7am and he will already be at work. Luckily because he is a traditional craftsman, working only with his hands, there are no intrusive noises to disturb the neighbours. Once Matt has worked his way along the ha-ha he will work back again, replacing any missing bricks. The retaining walls of the ha-ha, which stretch towards the road and support the pavement outside Bell House, are buckled and need complete replacement. Together with Nicholas Garner, Matt has devised a structure that will support the load placed on the walls but also be visually sympathetic to the location. A hidden metal and concrete structure will be faced with recycled Georgian bricks. 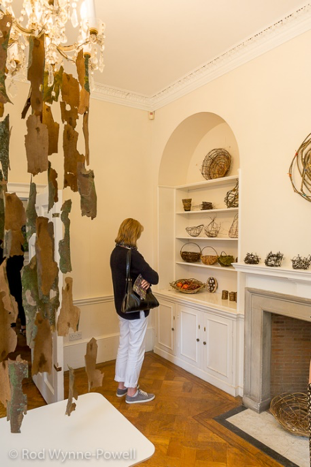 We hope that our commitment to repairing and maintaining Bell House in this sustainable and traditional manner will help preserve the house for the next 250 years of its history. 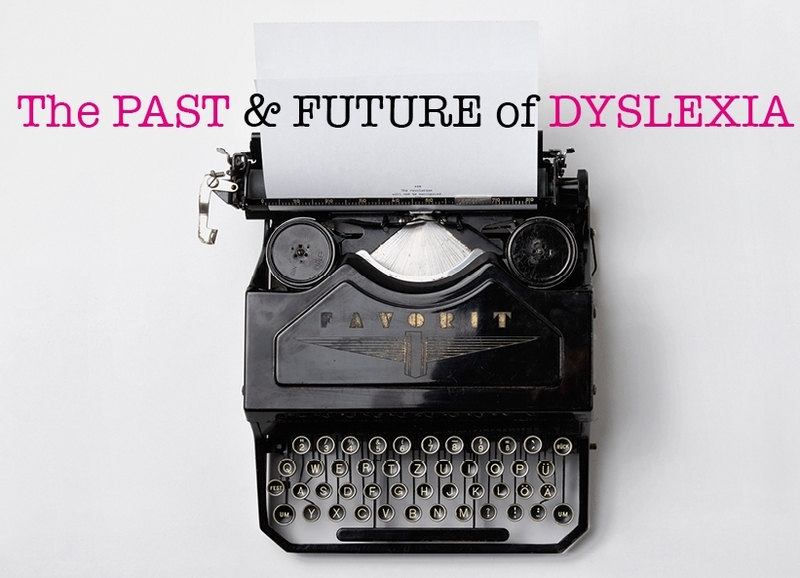 Louise Wood reflects upon books that approach dyslexia in a positive way and discusses the new theory of neuro-diversity. Anyone who has puzzled over the different take on a problem or issue by a partner, child or colleague will tell you that we all think differently. But now we understand a great deal more from neuroscience about why this might be the case. The term neuro-diversity has been coined to describe this characteristic. Four recent books take up the idea and expand upon how those with dyslexia think differently, in particular more creatively. In a world that is changing in favour of adaptability, creativity and resilience, those with dyslexia may have the competitive edge. 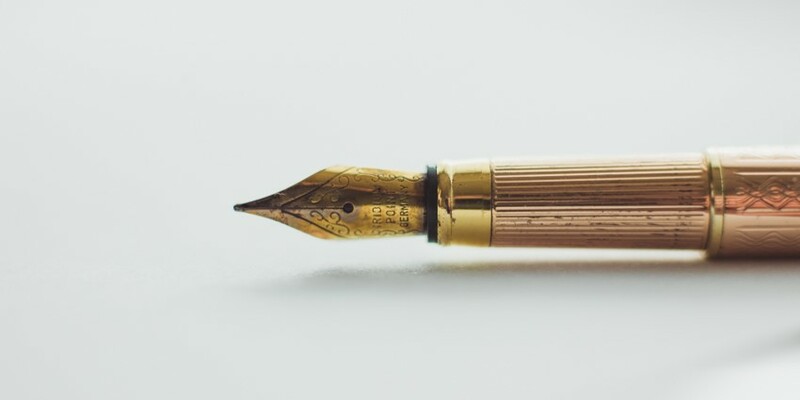 Margaret Rooke, an established writer and mother of a dyslexic daughter, decided that she wanted to identify the characteristics of those with dyslexia who go on to achieve happiness and success in their chosen field. She interviewed 23 people, including poet Benjamin Zephaniah, entrepreneurs Richard Branson and Theo Paphitis, architect Richard Rogers and performers Eddie Izzard, Marcus Brigstocke and Darcy Bussell. Their insights are individual and inspirational but can all be grouped under the title of her book, Creative, Successful, Dyslexic. Buoyed by the response to this book, Rooke went on to ask, what about ordinary young people? What strategies work for them? 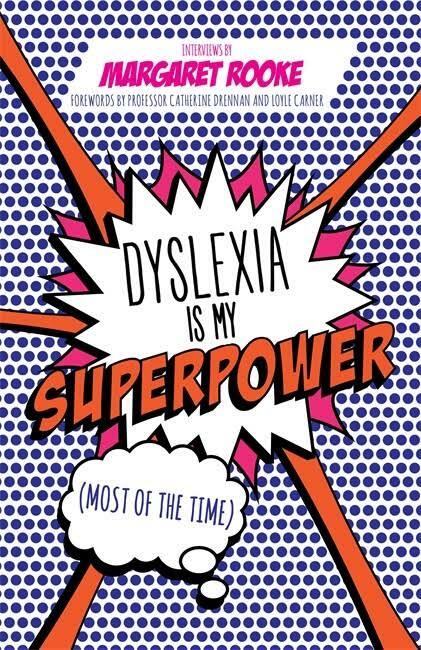 This resulted in a series of in-depth interviews with more than 100 children from 7 different countries for a book called Dyslexia is My Superpower (most of the time). The interviews show the importance of self-insight, building self-confidence and the many ways dyslexic children seek out what works for them. 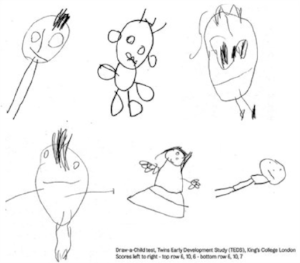 The fantastic illustrations by the children will be familiar to any parent of a dyslexic child and show that the written word is not the only way to make a powerful point. But what of the world of work? If you have seen Tiffany Sunday’s TEDx talk you will know what a persuasive public speaker she is and how passionately she feels that her own dyslexia has given her Dyslexia’s Competitive Edge, the title of her latest book. She argues that the future favours the entrepreneur and spells out exactly why dyslexics make excellent entrepreneurs. The words creativity and resilience come up again and also the importance of role models and mentors. Her thought-provoking rallying call is that computers will replicate neuro-typical thinking easily, but those who think less typically will be gold dust in the new technological economy. For the British economy, built on engineering, ingenuity and creativity, tapping the widest range of talent in future is a cause we can all get behind. 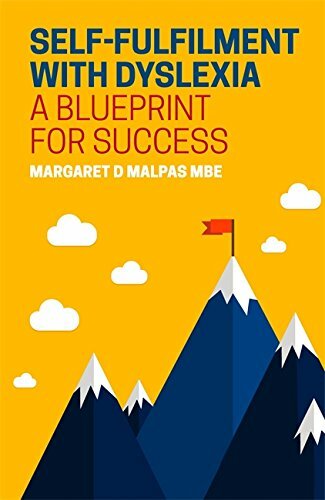 Margaret Malpas MBE provides an overarching viewpoint, gained from a career in human resources and working with the British Dyslexia Association. In her book Self-Fulfillment with Dyslexia, A Blueprint for Success she has carefully researched the characteristics that enable adult dyslexics to achieve their full potential. These include finding the right niche, tapping your passion, drawing on coping strategies built up in early life and recognising atypical problem solving and creative skills. Significantly Malpas drills down to break the term creativity into its component parts - not just the moment of insight, but also the editing and follow through of ideas. Encouragingly for those of us who support dyslexic friends and relatives Malpas and the fellow authors show how we as employers and family can make a big difference to the success of those with dyslexia by fostering self belief and providing emotional support. Together with self-awareness, these provide the emotional tool kit for success. It’s important to note that no one is saying that being dyslexic makes life easy or that those with dyslexia have any inbuilt intellectual superiority or inferiority. But certainly the combined message of these four books, spotlighted at the recent British Dyslexia Association International Conference, is that those with dyslexia should draw more than a little comfort and a lot of excitement about the possibilities ahead. The Quilt Academy has settled nicely into Bell House. The free Thursday drop-in sessions are a hive of activity where experienced and welcoming tutors share their skills in hand and machine sewing with less experienced sewers, or even complete beginners. The Quilters have now joined forces with Sharon O’Connor, our house historian, and are hatching a plan to reproduce two images from Bell House’s history in textile form. 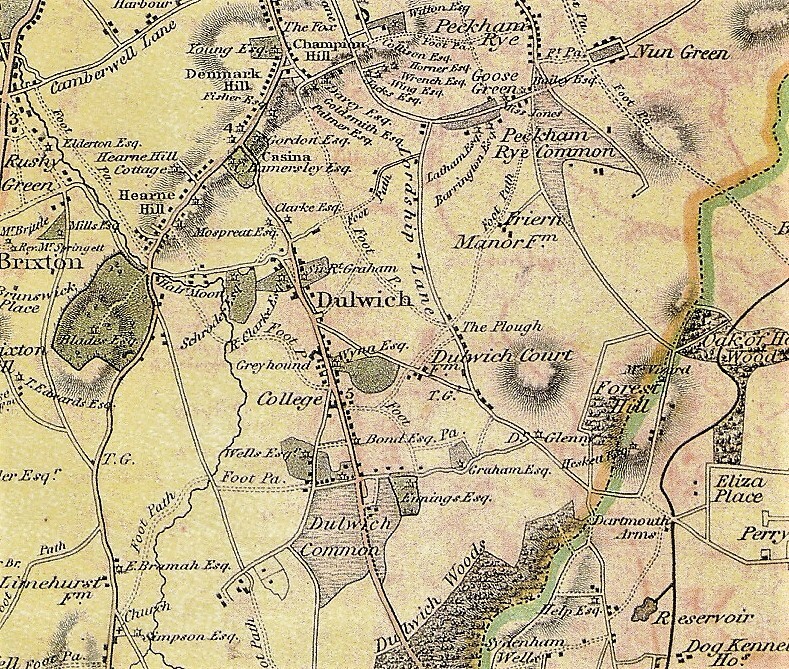 A 1746 map of Dulwich and an 1811 lease plan of Bell House will be reproduced using a combination of quilting, patchwork and embroidery. This will produce two beautiful works of art and also add to our understanding of the geographical and historical context of Bell House. For example: fields which used to belong to Bell House are now part of Dulwich Park. The quilters are about to put their creative heads together to decide the best way of tackling this technically challenging project. We will keep you updated with the project as it unfolds (but not unravels!). In the meantime, if you would like to join the Quilt Academy, either to acquire a practical skill, socialise with others or to make something beautiful to cherish, please pop in on a Thursday for a cup of tea and a chat, or contact us: [email protected]. Carers, translators, therapists or family support are also most welcome attend the sessions. Following hot on the heels of the BDA conference, the SEN jigsaw conference, now in its third year, had an interesting line up of speakers. The day started with psychologist Sally Goddard-Blythe explaining the “Draw a Man” test, which enables non-verbal assessment. Children often leave out the bits that they don’t feel so good at, such as no hands if their motor skills are weak. Sally investigates how movement and physical activity have impact on learning. 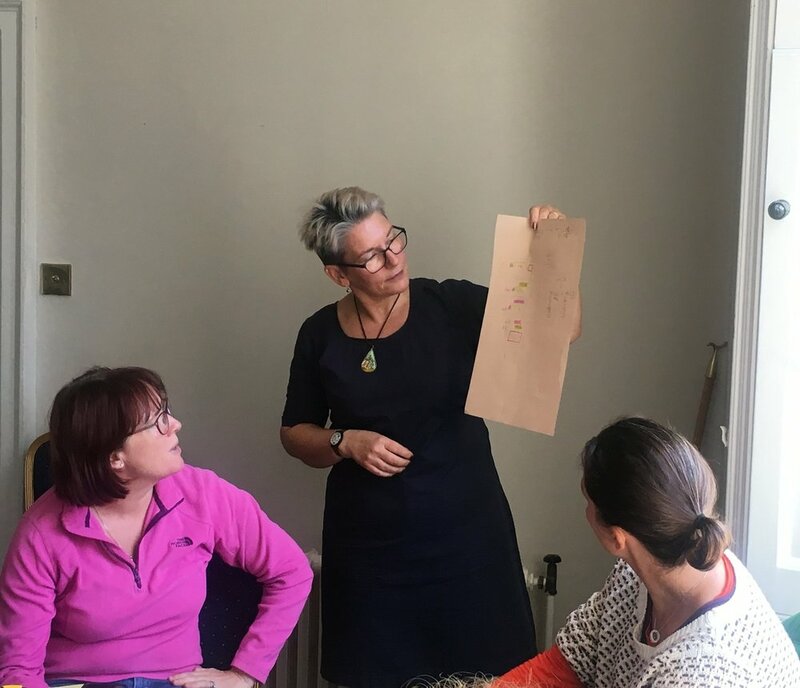 Many young children starting school have immature neuromotor skills, and Sally explained that this can have a significant effect on their learning outcomes and behaviour. She would like to see schools implement a daily exercise programme and physical developmental testing of children at school entry and key stages. Children who need the most help often ask for it in the least helpful way! In the afternoon we learnt about visual stress and dyscalculia. Bob Hext, from Crossbow Education, explained how visual stress is often associated with special learning difficulties. It can manifest in many ways: movement of letters, blurring and fading, rainbow blobs, letters changing size or space, glare, colour and skipping lines. But luckily there is help to hand. Simple measures can make a huge difference, such as using rounded fonts - they create a more fluid experience, and then using colour overlays can have a magical effect by relieving the symptoms of visual stress. Judy Hornigold finished the day by decoding dyscalculia, which is a specific learning difficulty for mathematics. While many people and children struggle with maths, they are not necessarily dyscalculic. If you have dyscalculia you cannot understand whether 9 is larger or smaller than 6, you cannot assess if there are four apples on the plate without counting them one by one (subitising), you cannot spot patterns, you may have left/right confusion, and an inability to understand the passage of time. There are strategies that can help; creating patterns with Cuisenaire rods can allow a child to explore and develop understanding. Diagrams can also be invaluable, as they encourage visualisation and a way to ‘model’ the maths. 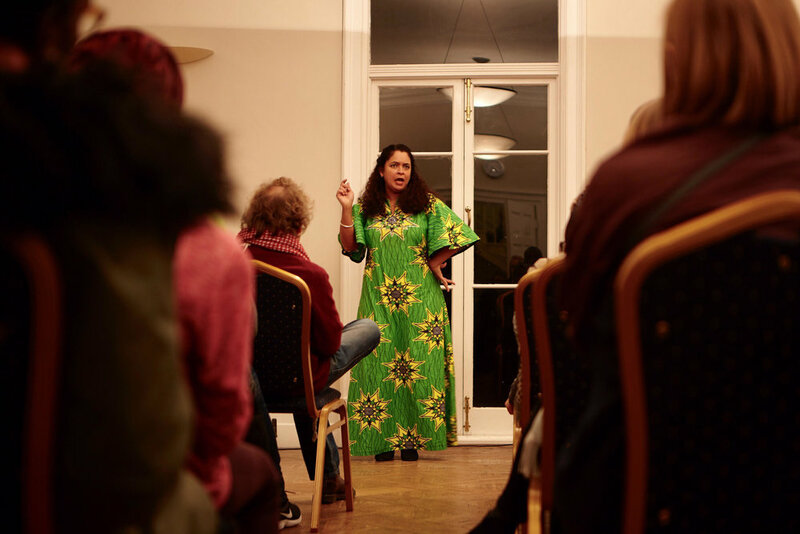 Several of the speakers from the SEN Jigsaw conference will be coming to Bell House over the next few months, bringing their insights to Dulwich. We can’t wait to welcome many of them to our inaugural Dyslexia Fair on 22nd September – stay tuned for more info!